Never one to miss a burgeoning new cruise market, Carnival Corporation & plc will deploy the Princess Cruises’ Sun Princess to Japan next year, under their new corporate branding Carnival Japan, Inc. This is in response to the growing interest for cruising in Japan, with new itineraries designed specifically for the Japanese vacation market. One of the world’s leading cruise line brands, Princess Cruises, is launching an 87-day program featuring a total of nine cruises on seven different itineraries operating April through July of next year from bothYokohama and Kobe. The cruises will be from nine to 12 days in length. The unique itineraries have been customized for the Japanese vacation market, and will launch with the most significant national holiday of Golden Week, a nine-day cruise on April 27, 2013 which includes two days in Hakata during the renowned Dontaku Festival. Underscoring the importance of Japan in the growing worldwide cruise market, Carnival Japan, Inc. has been formed to sell the Princess Cruises brand and certain other Carnival brands in Japan, with Princess Cruises being the brand to launch this largest cruise season in the Japanese market. Carnival Japan, Inc. is part of Carnival Corporation & plc, a global cruise company and one of the largest vacation companies in the world. Carnival Japan will be based in Tokyo and overseen by Eiko Kijima, who will be on the board of directors of Carnival Japan. Approximately 18,000 passengers are expected to be carried during this first season of cruising in Japan. Highlights of other itineraries include overnight stays at cities with popular annual festivals, destinations known for their natural hot springs, northern ports of Japan and foreign ports in Korea and Taiwan, among others. 9-day Golden Week: Departs April 27, 2013 sailing roundtrip from Yokohama with calls at Hiroshima(overnight); Nagasaki; Busan, South Korea, and Hakata (overnight). 12-day Round Japan with Festivals: Departs May 6, 2013 sailing roundtrip from Yokohama with calls at Aomori, Busan, Kanazawa (overnight), Sakaiminato, Maizuru, and Nagoya. 9-day Korea & Taiwan : Departs May 18, 2013 sailing roundtrip from Yokohama and June 23, 2013sailing from Yokohama to Kobe, with calls at Busan and Cheju, South Korea; and Kaohsiung and Taipei, Taiwan. 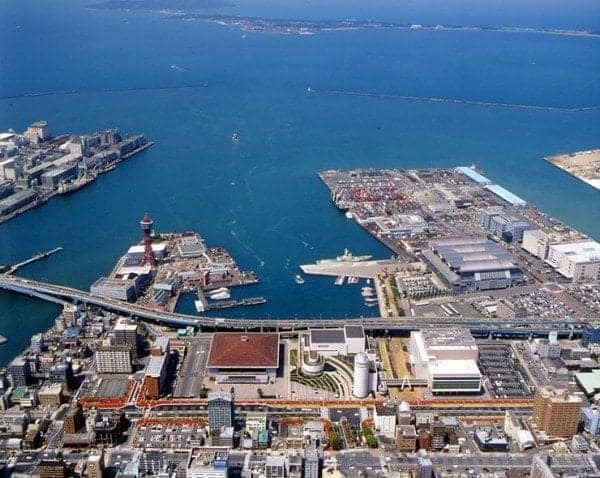 9-day Round Japan with Onsens: Departs May 27, 2013 sailing roundtrip from Yokohama with calls atNagoya, Kobe, scenic cruising of Japan Inland Sea, Matsuyama, Busan, Kagoshima and Beppu. 9-day Kyushu & Korea: Departs June 5, 2013 sailing roundtrip from Yokohama with calls at Koshi,Kagoshima, Nagasaki, Cheju, Busan and Hiroshima. 9-day Hokkaido & Russia : Departs June 14 and July 14, 2013 sailing roundtrip from Yokohama with calls at Kushiro, scenic cruising of Shiretoko Peninsula; Korsakov, Russia; Otaru, Hakodate and Aomori. 12-day Round Japan: Departs July 2, 2013 sailing from Kobe (overnight) to Yokohama with scenic cruising of Japan Inland Sea and calls at Hiroshima (overnight), Busan, Sakaiminato, Maizuru, Kanazawa, Aomori and Sapporo. Pricing for these cruises starts at 124,000 yen per person, double occupancy for a nine-day sailing or roughly just under $1,500 USD per person. The cruise experience will be substantially the same as the Princess Cruises product offered around the world, providing an impressive array of dining and entertainment options in addition to the line’s signature innovations such as its popular Movies Under the Stars poolside theater and The Sanctuary, an exclusive top-deck retreat. However modifications will be made including introducing key passenger-facing positions which will be filled by Japanese-speaking crew members. Dining room menus will offer international Princess cuisine while additional offerings will cater to Japanese tastes, and an a la carte sushi bar will be opened. A specially designed enrichment program will include an expert lecture series on art, culture and history. Other amenities such as the shopping selection and spa treatments will also be tailored to Japanese preferences, and onboard collateral items and stateroom information will be translated into Japanese. An extensive array of shore excursions will be available to complement the itineraries so that Sun Princess passengers can experience all the ports have to offer. This new season of cruises will open for sale on April 16, 2012 and the sailings, along with all other cruises sold in the Japan market for Princess’ worldwide destinations, will be sold in Japanese Yen.